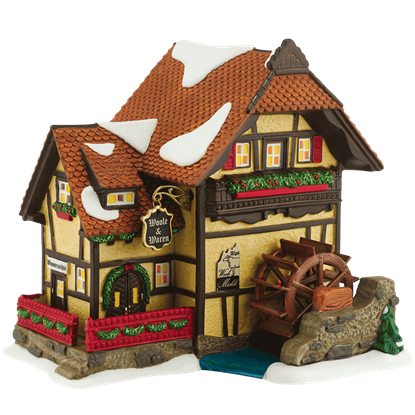 With an animated, spinning water wheel, the Alpen Woolen Mill is a charming and lively addition to any holiday village display. 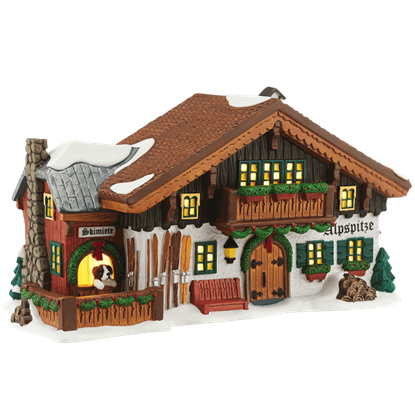 This highly detailed porcelain statue is part of the Alpine Village collection by Department 56. Escape to a cozy, wintertime retreat with the Alpine Ski Lodge. 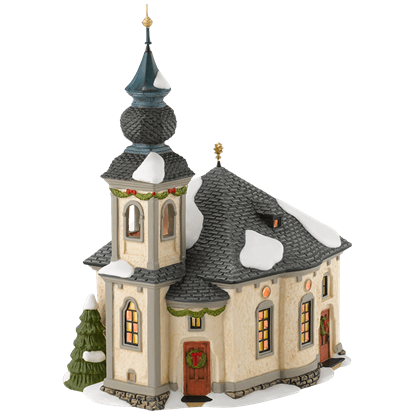 Part of the Alpine Village collection by Department 56, this porcelain statue displays a charming, snow covered inn crafted with incredible attention to detail. 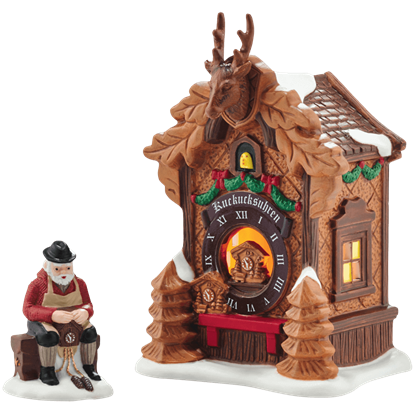 Part of the Alpine Village collection by Department 56, the Black Forest Christmas Market is a set of statues that pays tribute to the famous clocks crafted in this region. This charming set includes a clock maker and his shop. 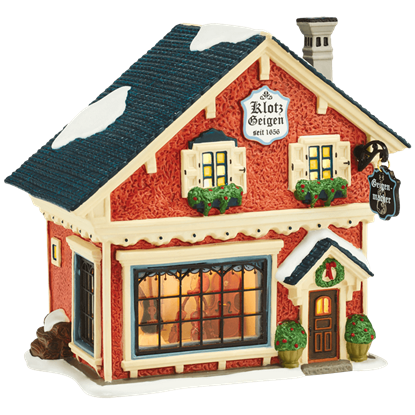 A part of the Alpine Village collection, this illuminated booth accessory makes an excellent addition to your Christmas Market display. 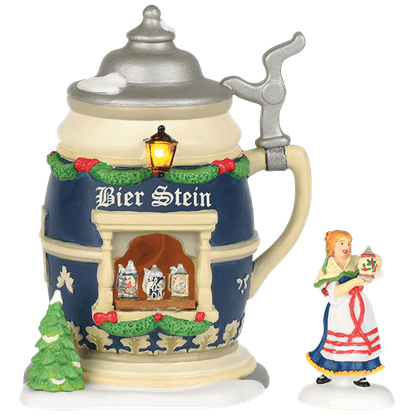 The Holiday Bier Stein Booth Set includes a sculpted building and colorful vendor figure. 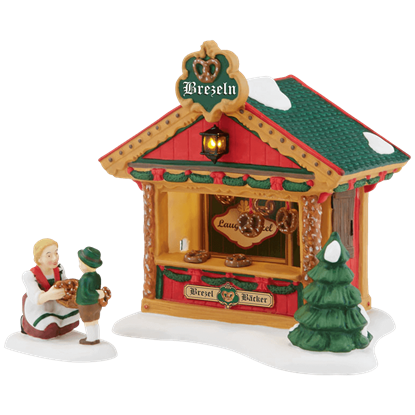 Inspired by the popular Christmas markets in Germany, the Pretzel Booth set makes a charming addition to your seasonal scene. Each booth at the market specializes in a particular traditional item, such as these tasty breads. The Klotz family began building stringed instruments in Middenwald, Germany during the 17th century. Look through the large front and side windows of the Violin Maker Building at an intricate sculpted interior scene.